This past week I had the opportunity to hear Robert P. Jones, Ruby Sales, and Michael W. Waters discuss race and religion in the church. 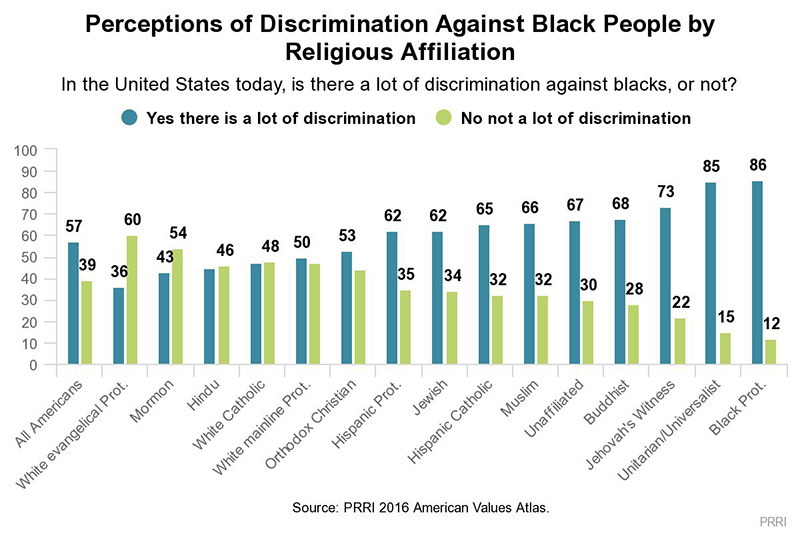 It disturbs me that religiously unaffiliated white folks are more likely to see the racial discrimination the way that black Christians than white mainline Protestants, white Catholics, or white evangelical Protestants. While Paul proclaims one Lord, one faith, one baptism … Christians are not obviously of one mind. Guess who needs to move? Read John Goehring’s “What Is Wrong with White Christians?” for further context.